Wars are part of human history, but 20th century nuclear weapons made them more destructive than ever. Wisdom prevailed; here we still are. Truth wars, that is fighting over truth, are also a bloody part of our history, and 21st century technology has brought new combatants: for example, a fake news industry, and a “mainstream fringe” that now has a seat at the table. We witness a daily escalation of hostilities, such as direct attacks on the media and on scientific intuitions by politicians and corporations. Wisdom has yet to make an appearance. Truth Wars is how we got into this chaos, and how we’ll get out. The most important problem of our time may be the truth problem because solving our other problems depends upon solving that first. Without uncorrupted facts to inform our personal choices, or shared facts for problems we must solve democratically, we may struggle to realize our noblest aims as a species and may arrest centuries of progress that we have come to take for granted. Truth matters – not abstractly, philosophically, or moralistically, but practically. This is not a late-night dorm-room conversation, “like man, does truth really even exist, man?” Most of the problems that our species faces rely, in some way, on truth or her sisters: facts and science. For example, if catastrophic predictions about planetary warming and sea level rise are correct, entire countries will disappear, as well as entire US cities and states. A billion people will be displaced and the world struggles today with “just” a few million from war torn countries in the Middle East. If you like this post, and are curious about the book, use this link https://forms.aweber.com/form/38/956642838.htm , to get updates (release information, excerpts, free chapters). What are the Truth Wars? When politicians, corporations, and demagogues make things up, or lie, they corrupt our ability to solve the most important problems of our time. Politicians are known for lying – “when their lips are moving” goes the old joke – but this goes further today than ever before. In a dozen first-world countries, there is a new vigorous political contempt for truth, for facts, for expertise, for science, and for the institutions whose purpose it is to help us “steer the ship.” That contempt is mirrored in the citizenry, who trust institutions less than ever before. The Enlightenment brought us the idea that the ordinary citizen should evaluate truth for themselves, using reason and evidence. This was perhaps the most liberating and important historical transformation in human consciousness. That newfound intellectual freedom unleashed great social change culminating in the democratic revolutions at the end of the 18th century. Prior to that awakening, truth was received – from sages, clergy, and kings. To question this received truth was to face death. This suppression of truth allowed authoritarian rule. Today, authoritarians suppress truth with 21st century tools – facts about the Tiananmen Square incident were censored not with counter-claims, but by a deluge of “alternative facts” – using information glut as a form of censorship. In Russia, the press is assassinated, and cyber-warfare is constantly waged against Western governments. In the United States, the war is more sophisticated – the truth is “spun” by masters of obfuscation, quality news outlets are attacked, fringe news outlets (such as Infowars) have a seat at the table, the words “global warming” are banned from government documents, and corporations spend billions to sway legislation away from where the facts might lead. Truth matters in our lives. Each day (even before breakfast) we make micro-decisions that rely on science: fluoride, or not; bottled water, or tap; low-fat, or low-carb; supplements, or not, or which; and gluten-free, or lactose-free, or whatever. With our kids, we might wonder about charter schools, vaccination, screen-time, sleep, and punishment or praise. As citizens we might wonder which hullaballoo is accurate, global warming, or domestic terrorism? Loss of trust in experts and institutions, the result of the war on truth, makes all this harder. In a complex world, we need experts more, but we trust them less. Truth Wars investigates how bad the truth problem is and whether it is getting worse (or is this just more media-fueled drama, or “elites” grasping for power as it slips away)? The book then looks at costs, to individual choices, to trust, to social capital, and to democracy. Finally, the book explores solutions, both for individuals and institutions. How we’ll win the Truth Wars? Solutions are what makes Truth Wars different than any other title on the market, but this isn’t a recipe book. The truth problems that society has always faced have been worsened by technology, and by a cultural/ political backlash against “globalism” (which includes multi-culturalism) and “expertise”. There are new ideas daily. For example, in 2017 “apps” were developed that can “burst your filter bubble” (showing you a greater diversity of sources) that were unimagined when Eli Pariser wrote The Filter Bubble nearly five years ago. We must start with ourselves – our own relationship with the truth (how much do we consider evidence, how much are we biased, how are our own minds closed?) Many other books talk about this (cognitive psychology) and some are very good, but we can’t stop there. We also need tools. Those tools are emerging in the form of technology tools, science literacy tools, and news literacy organizations. Yet we must go further still. Knowledge (as described in current best seller, The Knowledge Illusion) is a social phenomenon. Most of the views we form are in community. Few people understand climate change, many have strong opinions. Those opinions are more like “Go Patriots!” rather than reasoned argument – we think in tribes – e.g. my tribe is Republican, climate change is nonsense. Rational argument will not persuade a Patriots fan to become a Jets fan. How we talk between tribes, as it were, how we listen, empathize, take perspective, and value idea diversity is the focus of the final chapter in the “Be the Change” section. Again, solutions are “in the works” – new methods of democratic engagement that engage constituents with problems that matter (such as fracking), that make use of expertise, but that do not rely on the old mantra “trust me, I’m a scientist.” This will require changes in how we educate people, and those new ways, too, are emerging. Civics has been shoved aside in favor of STEM, and “testable” knowledge like math. Students don’t learn epistemology (how we know what we know, what does evidence mean, what is relativism), nor do they learn political philosophy (how experts, representatives, and citizens fulfill their role in the direction of their countries and communities), but many educators are evaluating teaching subjects such as those – even to elementary school children. Science is now taught as a collection of facts. That is not only wrong, but useless Citizens and consumers empowered to make important decisions about their lives need to understand how the world works, what is correlation (and why isn’t it causation), what constitutes good evidence, why does science seem to change its mind (and is that bad), and how to spot pseudoscientific claims. How those might work, and how they appear to be working during this experimental stage is important. The breadth of scholarship and focus on solutions is what makes Truth Wars unlike any book currently on the market. Truth is a highly controlled result, a certainty, the absence of process, or experience. Omniscience brings disparity, not truth. 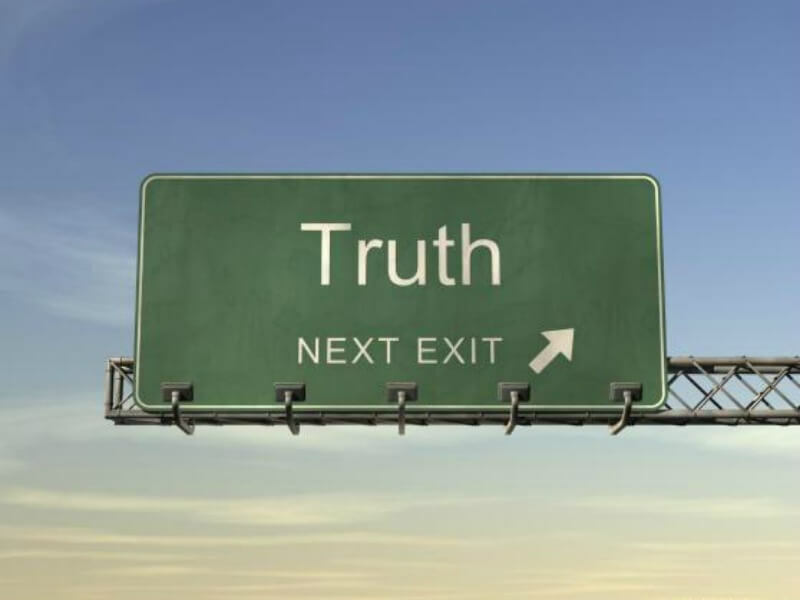 I’d rather stay on the road than getting off for “truth”. Sounds too much like a religion. It does, and that usage is’nt intended. Even in science, findings are tentative and contingent. That doesnt mean the distinction between truth and falsehood dissolves.